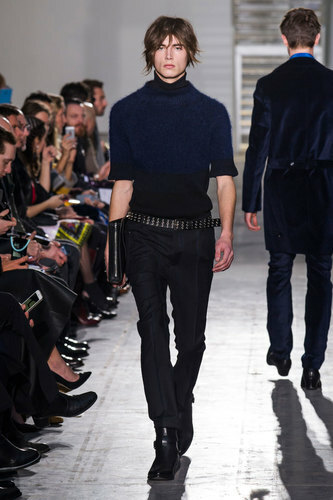 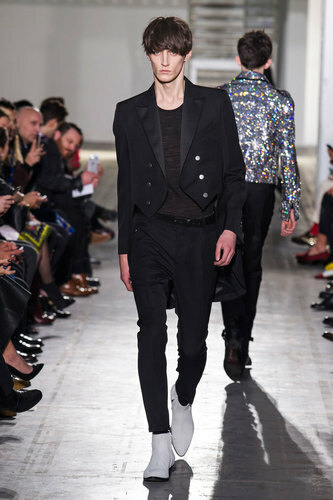 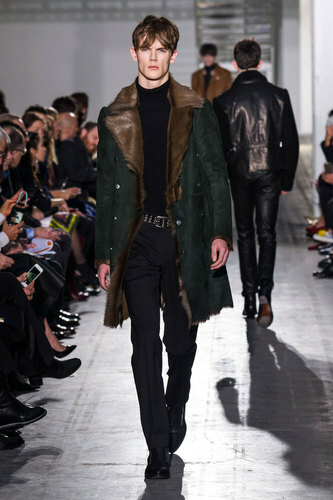 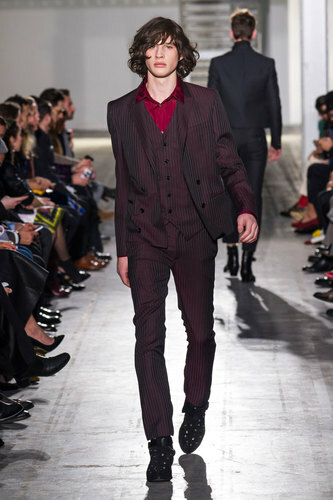 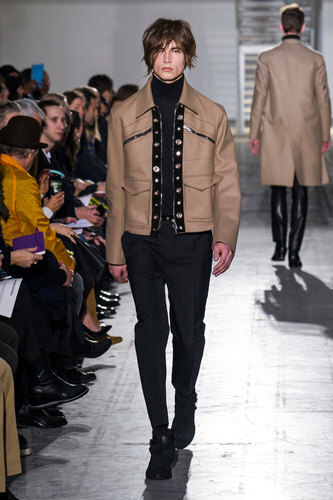 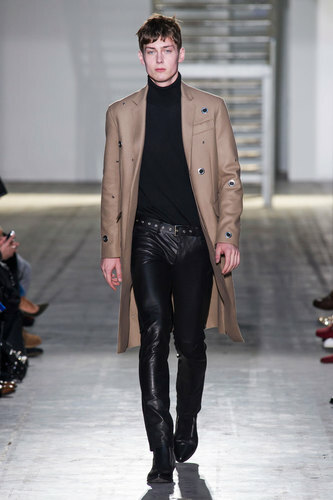 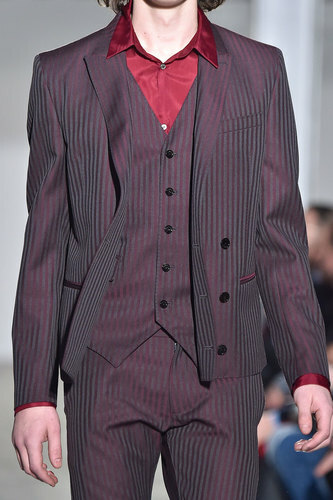 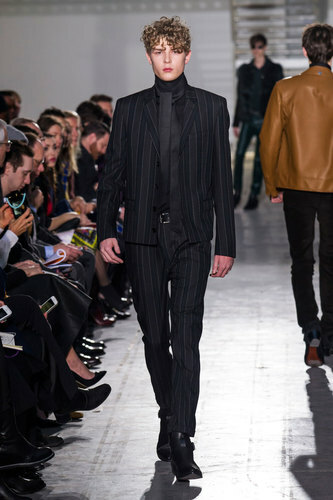 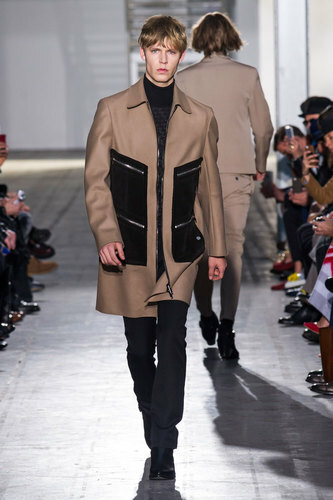 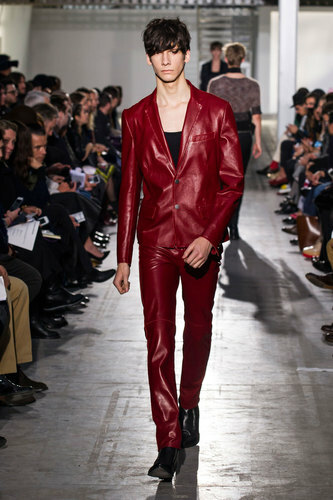 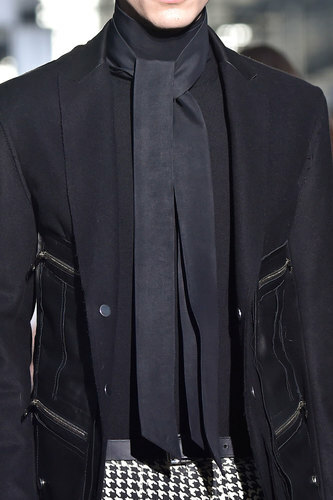 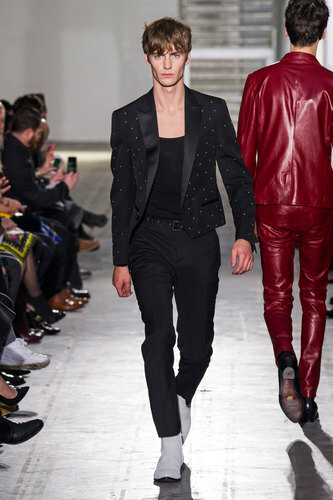 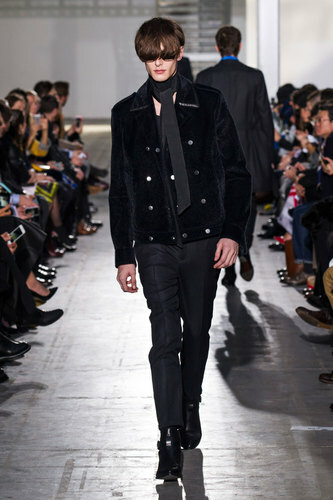 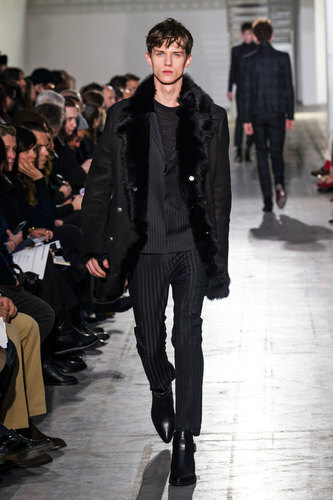 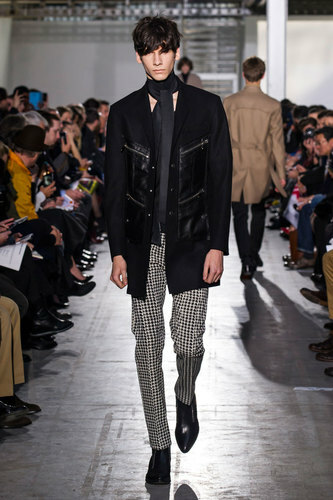 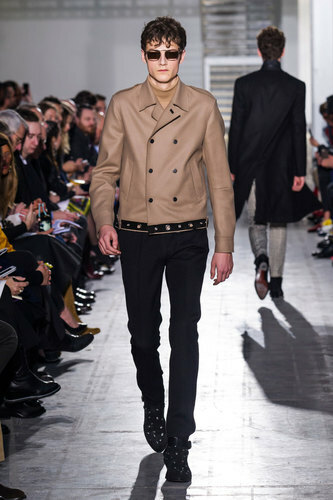 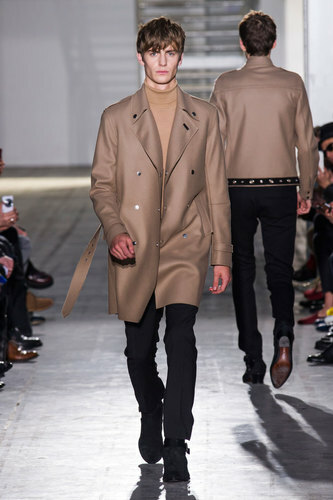 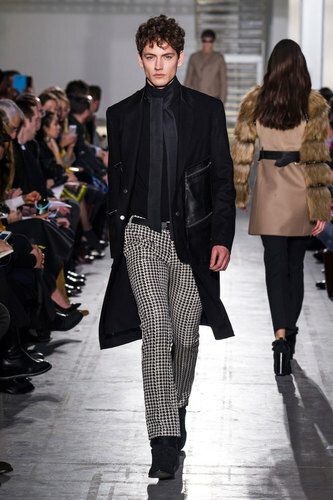 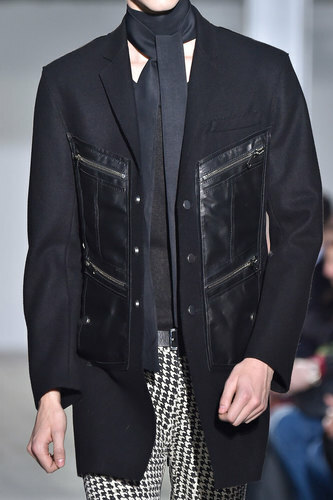 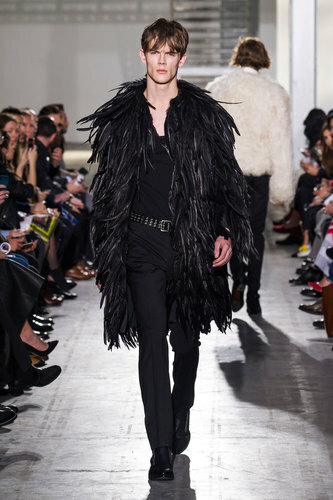 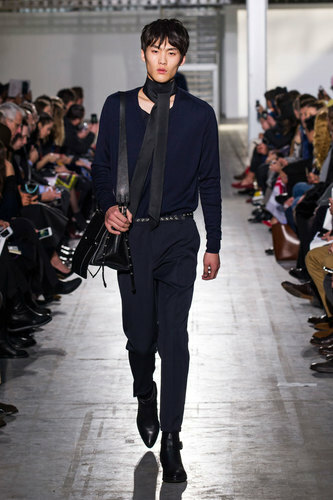 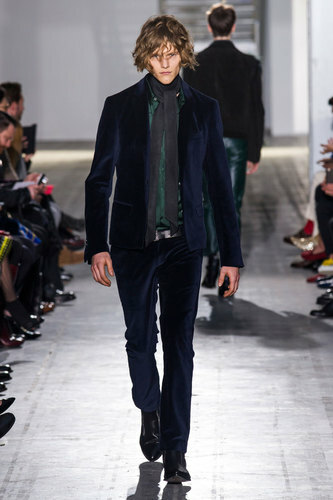 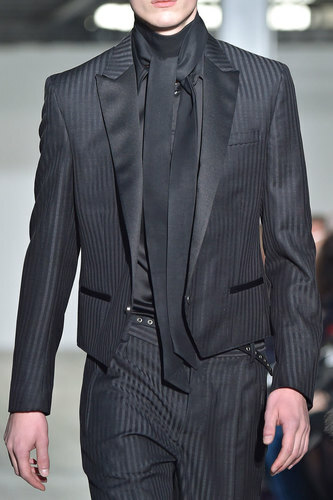 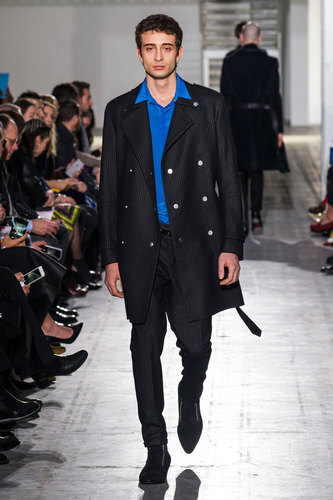 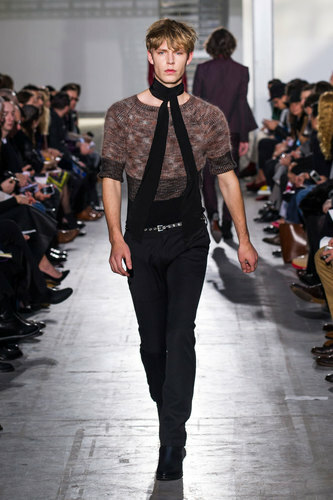 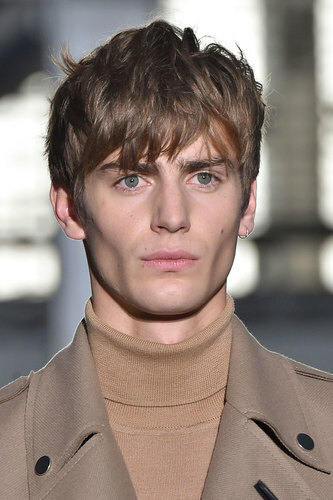 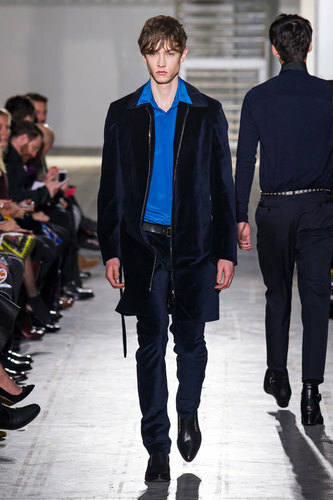 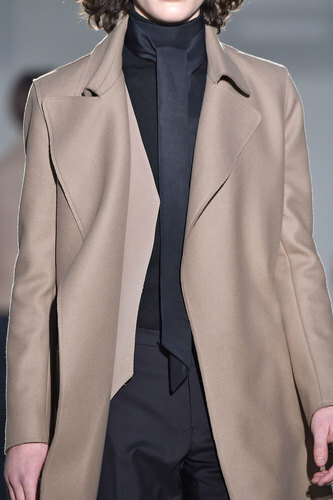 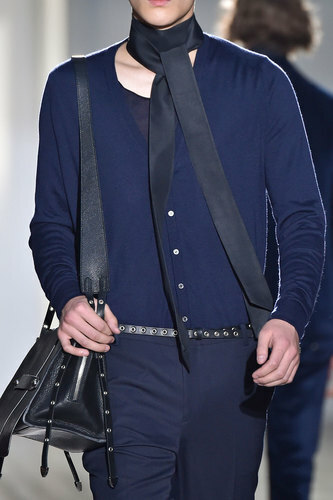 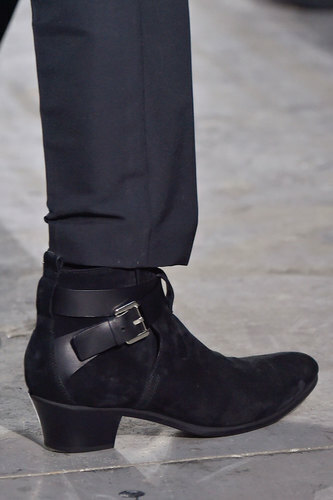 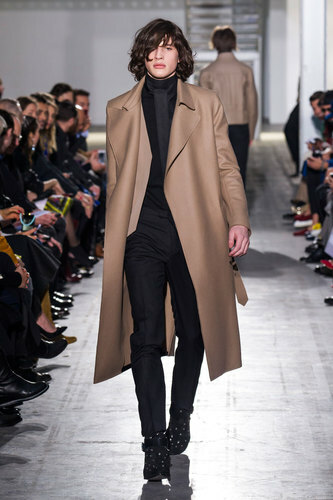 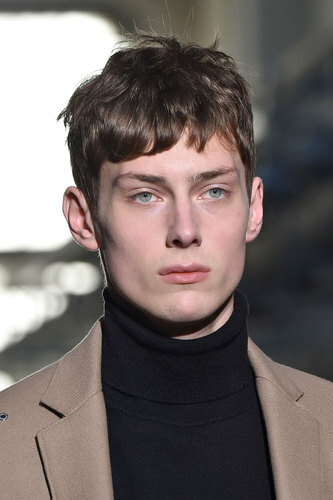 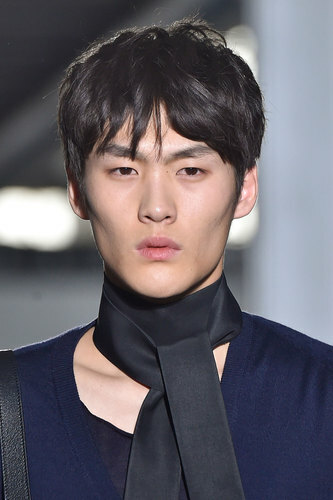 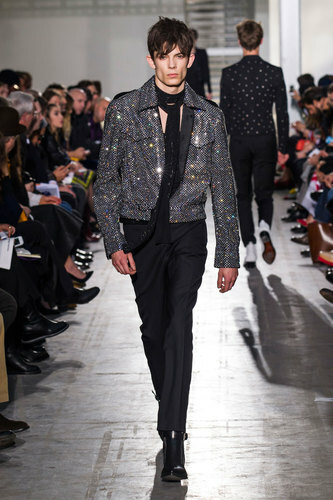 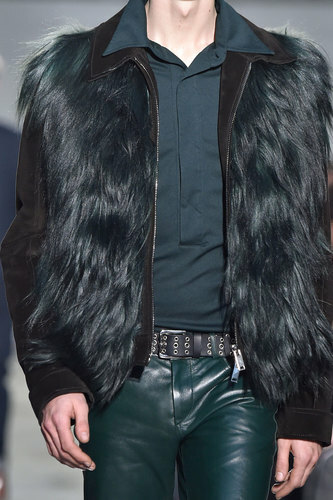 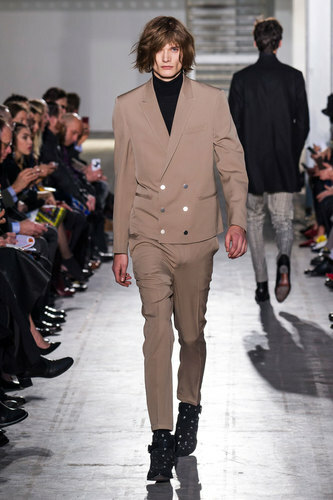 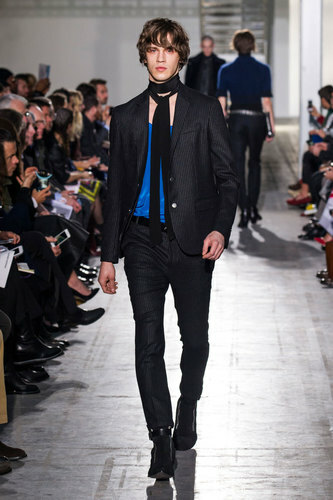 Costume National Homme Autumn-Winter 2015-16 – Androgynous looks with a masculine feeling. 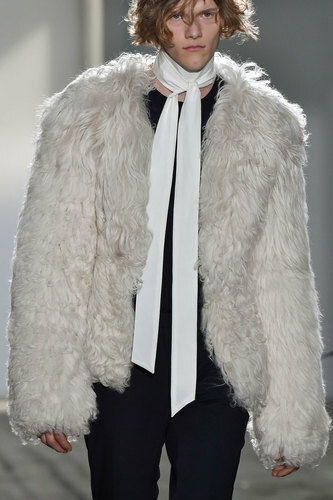 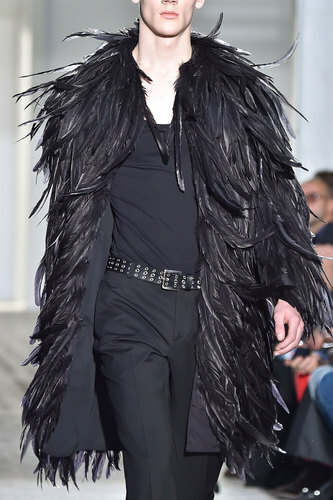 The designer, Ennio Capasa, creates some outfits that could be easily interchangeable with a woman: feathers coats , light and slim scarfs , fluffy mohair jerseys can be easily worn by the opposite gender. 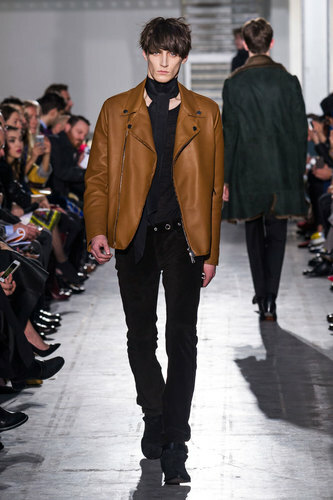 The colour palette of the cloakroom was made up of camel, black and turquoise with some pieces in red. 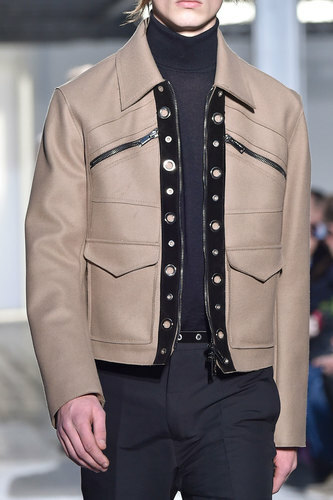 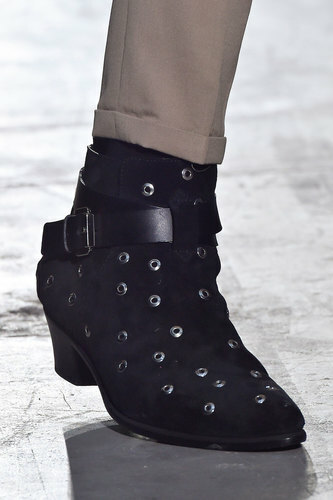 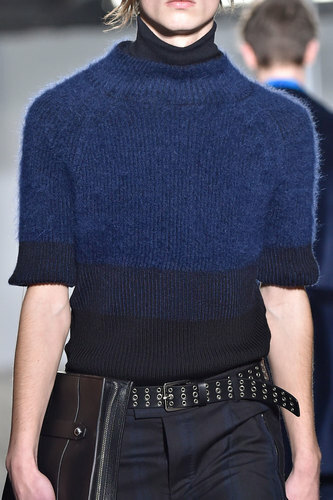 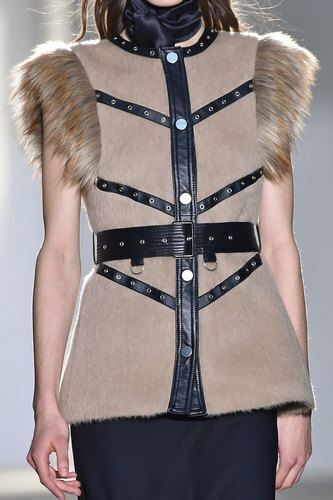 The collection opened with camel garments adorned by metal eyelets. 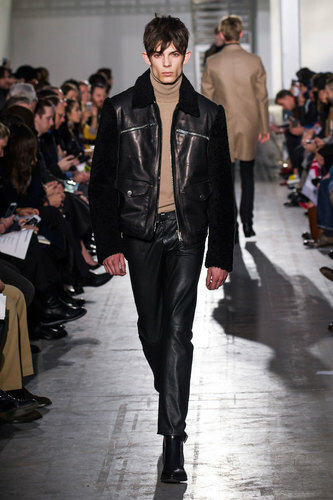 Leather, zips and studs details give to this modern dandy a touch of rock’n’roll.